I am super excited about what todays post has to offer. I stumbled across the most inspiring boutique SUBSIDY SHADES. One hundred percent of this boutiques proceeds is donated to help families who are in the process of adopting. The CEO’s story is so inspiring I wanted to get involved and help promote this good cause. 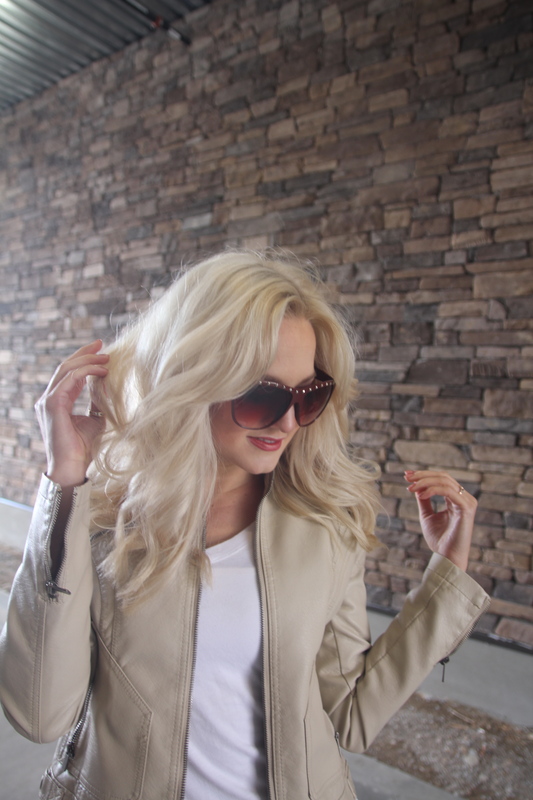 This boutique sales the trendiest sun glasses and they are quality sunnies at an extremely reasonable cost, check them out and help a family get started. Every time some one buys a pair of sun glasses a family is one step closer to adopting their child. Spread the love. love the jacket from Charlotte Russe! Where did you get your shoes? They look comfy with that platform and cute too! you are stunning! love the jacket. You look so cool on this outfit. The jacket is so amezing! !